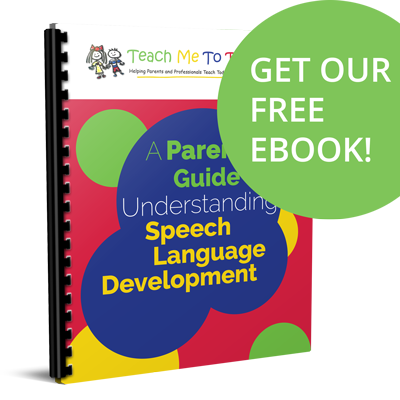 As a pediatric speech-language pathologist, I’ve seen moms of babies and toddlers with developmental delays and disorders at their absolute best and unfortunately, at their worst. The longer I do this job, the more I’ve come to appreciate just how hard it is for moms to rise to the occasion and deliver her best day after day, week after week for a child who may never make enough progress so that she can attend an IFSP or IEP meeting and not want to cry, or die, or both. Parenting a child with developmental delays takes some guts. And commitment. And strength that mothers of children who are typically developing may never, ever know. To all of those moms of toddlers with developmental challenges, I want to give you a big round of applause and tell you just how awesome I think you are this Mother’s Day. No one knows how hard it really is to live a day of your life unless they too have done it. I’ve also come to the point, both personally and professionally, that I can look at the worst moments I’ve seen with families as another opportunity to learn how I can best help a child. Even moms who are obviously struggling have done something right. Unless therapy services are provided by court order, that mom somehow found a way to get her child help. For that decision alone, she deserves a huge dose of respect. Our colleagues who work in public schools will tell us that there are kids who show up on the first day of kindergarten with significant language delays who have never been referred for an eval or seen for one minute of therapy. I used to purposefully remind myself of that any time I’ve been tempted to make even the slightest judgments about a mom’s choices. Now it’s second nature for me to remember: no matter what else has gone wrong in her world, if she’s out there looking for help for her kid, she’s doing something right! Beyond initial respect, what else can we do to support moms of toddlers with special needs? Here’s a list I’ve come up with for professionals who work in early intervention. Our job is different from therapists who work with older children and adults. We’re the first very representation of our field, and we need to do things right from the start to help moms feel supported on what can be a very long road with a toddler with delays. 1. Answer her questions honestly. A child may have been to many specialists before seeing you. 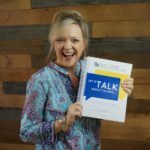 For a multitude of reasons, pediatricians, geneticists, orthopedic docs and even neurologists who see a child with an involved history and multiple medical problems can neglect to tell parents that a child will not learn to talk on time. Don’t assume that a family knows what’s expected, even when there’s already a firm diagnosis in place. You may be the very first professional a family sees beyond the pediatrician. It’s very likely you’ll be the only person who’s definitively confirming that things aren’t going well developmentally. Even when a mom has had a suspicion that her child is a late talker, you may be the first person to deliver the ‘official’ news. No matter how many other people parents have seen or will see in the future, tell the truth. Give your honest opinion about what’s going on with a child with compassion and with the utmost sensitivity, always keeping in mind that you’re talking about someone’s baby. This situation can be unsettling for some therapists, particularly when a child has significant delays. Being honest can make you very uncomfortable, but withholding information to spare your own uneasiness isn’t right. Therapists in early intervention programs can sometimes feel that they are not in a position to offer an official diagnosis, yet they hold off on referring a child to another professional who could. Sometimes therapists themselves want to “wait and see.” That too, in my opinion, isn’t right. If a parent has questions you can’t answer, refer them to someone who can. It is our responsibility to help parents find answers to their questions, even when it’s painful for everyone involved. 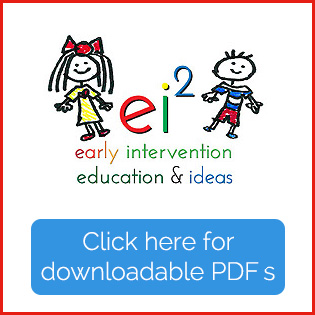 Early intervention gives a child his very best shot at achieving his highest potential. Neuroplasticity is a wonderful concept. By putting the right strategies in place with very young children, we can literally change their brains. Does that mean that all children we see for therapy will eventually function within normal limits? Certainly not, but we can usually tell parents with a high degree of confidence that getting services early will make a difference as opposed to no treatment at all. 2. Listen to a mom’s responses carefully. As therapists we can ask the right questions, but we may miss very, very important information because we’re not really hearing a parent’s answers. A mom’s responses can let you know that she doesn’t really understand the nature of her child’s issues. Don’t miss that opportunity to clarify and educate (and re-educate…). For most of us, it took a master’s degree to learn all that we know about child development. Years of experience have taught us what those classes didn’t. Moms don’t have this same knowledge base, so we need to share what we know as we ask and answer questions about her child. A mom’s responses can also tell you that she doesn’t understand what you do and how your services can benefit her and her child. Take the time to explain exactly what her child is doing that differs from what you hope to see. Discuss your treatment plan and strategies every single session so that she sees what you see and knows what you want to accomplish during therapy. If that differs from what mom sees and wants, you need to know! In this case, you’ll want to adjust your plan, her expectations, or both! A mom’s responses can also tell you when she’s overwhelmed. If mom is telling you that a strategy doesn’t work, she didn’t have time to work with her child, or things are no better, listen to her! Figure out a way to make it easier for her to follow-through. Rarely does a mom who invests her time and energy into getting her child help not want to do her part too. Occasionally a mom’s responses will tell you that she’s waiting on you to wave your “Magic Speech Therapy Wand” to “fix” what’s wrong, but even that illusion can be overturned with a gentle conversation. Thankfully, once a therapist becomes skilled at explaining therapy and gets a parent to buy into the treatment plan, that kind of unrealistic expectation becomes the exception rather than the rule. By this I don’t mean fewer visits or providers as some state early intervention programs have mandated. I’m talking about the strategies and ideas we recommend for families during a visit. In our zeal to help, we can overwhelm moms with too many recommendations and add to the sense that things are beyond their control. As a therapist do you ever find yourself providing one great suggestion after another and are met with a deer in the headlights look? Do moms seem to shake their heads in agreement, but not follow through? Does a mom appear to be tuning you out when you speak to her? When that’s the case, she’s telling you that she needs less, not more. I’d rather a mom concentrate on a few, SIMPLE things that she can and will do with her child rather than giving her a whole list of things that will never get done. Some moms can handle only one new idea at a time. I’ve finally learned this lesson and gauge my recommendations on what I’m seeing and hearing from a mom from visit to visit. Less can be more for many moms and THAT’S OKAY. 4. Don’t just tell a mom how to help her child; show her! In this age of the consultative model and the “No Toy Bag” rule in state early intervention programs, we’re forgetting a very important aspect of our jobs. The mom you’re seeing doesn’t know how to do therapy with her kid! She doesn’t have a degree in speech-language pathology, occupational therapy, or early childhood education. She doesn’t know what to do. Would you be there if she did??? 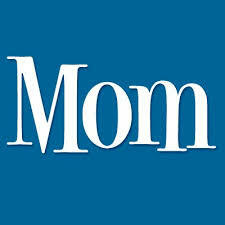 A mom needs you to teach her how to work with her child. Parents need to SEE you do what you’re recommending. Then they probably need to think about it and watch some more. Finally, they’ll be ready to do it themselves with feedback to tweak what’s not going well. Hands-off approaches are NOT what we’re trained to do as SLPs, OTs, and PTs in our educational programs. As a therapist, you’ll need to learn to defend why your direct intervention IS necessary to determine the best approaches for helping a child and his family. How do you know what works with a particular child unless you SEE it yourself? Demonstrating and modeling treatment strategies with a child as the parent observes IS parent education. Don’t let anyone tell you that this is no longer needed and ineffective. To prove my point, let me ask you this question: how did you learn to do therapy? Did you simply listen to a lecture and then proceed to the clinic to work with children, or were there observation hours involved first? Did you dive right in with clients after a few words of advice, or did your clinical supervisors watch you like a hawk and critique you until you got it right? We listened to lectures, read, watched someone else do it first, and THEN we moved on to doing therapy ourselves. That’s how every other adult learns to do therapy too. The next time you’re in doubt, ask a child’s mother if she’d rather you tell her what to do or have you show her how to do it. I’ve never, ever met a mom who turns down the demonstration. You will never go wrong showing a parent exactly what to do with her child. 5. Let a mom know that you’re there just as much for her as you are for her child. This statement takes care of moms who don’t want to participate. By telling her that you’re there for her too, she becomes an important part of the treatment plan. You frequently ask for her comments, questions, and feedback throughout the visit. Her presence is welcomed in sessions, not mandated by the state or an agency policy. The message of “we’re in this together” can be powerful. While most of us are not social workers, psychologists, and most of us don’t really go to work looking to make new friends, some days, that’s what a mom needs more than anything. I’m all for maintaining boundaries and keeping things professional, but especially for those of us who do home visits in early intervention, we need to meet mom where she is and go from there. Unless, of course, you’re doing just that. Many moms of children with special needs feel so much misplaced, unnecessary guilt over their child’s unavoidable situation that they can’t bear one more ounce of unreasonable pressure. Let go of any tendency to overtly or unconsciously blame parents for developmental issues, even if you do feel that there are things in a child’s environment that are less than optimal. Except for situations of severe abuse and neglect, almost every child on your caseload would likely have had a delay anyway, regardless of the kind of parenting he’s received. Period. In case you’re thinking that these kinds of unfair criticisms don’t happen, how many times have you heard a therapist remark something like, “He gets away with everything at home. No wonder he’s the way he is.” Isn’t that a statement of judgment? Do we really want to go back to the time when we blamed a child’s mother for everything that goes wrong developmentally? If you’re in doubt, read the information on the causes of autism from the 1950’s and 1960’s. It’s scary! Making a mom feel heard, valued, and supported may be the best thing you ever do for a child on your caseload. That’s important every day, but especially now! If you haven’t told the moms of the kids you see “Happy Mother’s Day,” it’s not too late! Start out your visits next week with those words. She may not have heard that greeting from anyone all weekend, and you may never know how much she desperately needs to hear it.